The Pretani Education Programme – The Carthaginians, Greeks and Romans. Last night, Pretani Associates were at the Skipperstone Road Community Centre, Whitehill, Bangor. Presentations were given on the meaning of the names of our islands by the ancient Carthaginians, Greeks and Romans and their importance today. The earliest names for Ireland and Great Britain were Ierne and Albion. Ierne means the “Furthermost Habitation” in Carthaginian and Albion the “White Island” in Ancient Greek. 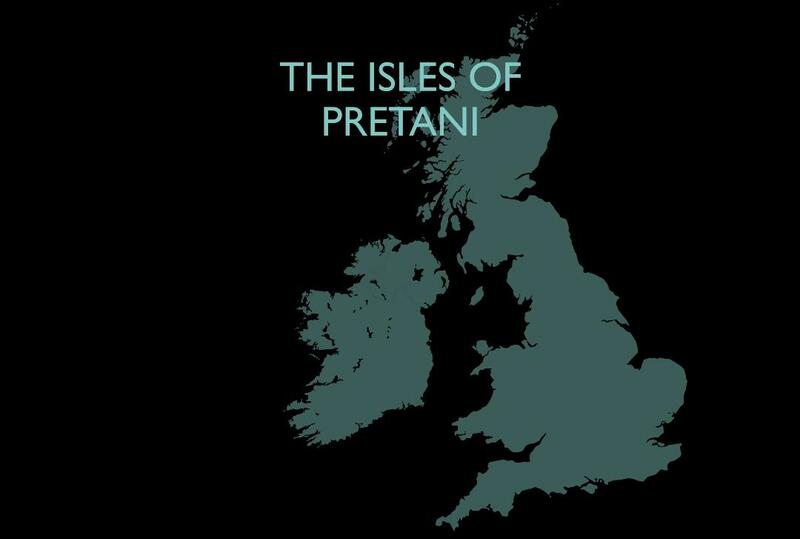 The two islands were the Isles of Pretani. The Romans then changed the P of Pretani to B, thus giving us the name Britannia in Latin, following the First Battle of the Somme fought by Julius Caesar in 57 BC.